Join us Friday, June 15th at the old Macy's at Vallco (10333 N Wolfe Rd Cupertino, CA 95014), to celebrate Eid Ul Fitr at 8:30am. 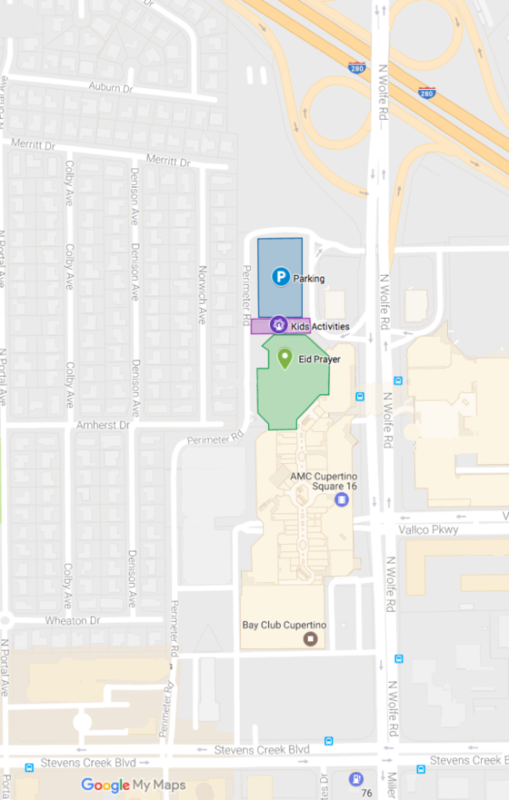 See the map below for parking location. After the Prayers, we will have fun and games for the whole family, including snacks, cotton candy, balloon animals, face painting, goody bags and more! Help us make this Eid the best Eid ever - sign up as a volunteer here. Please be sure to pay Fitra ($10 / person) before the Eid Prayer. Donation boxes are also available at Taraweeh this week.